One of our readers, Amanda, contacted us recently regarding her search for the perfect nappy bag. She wanted a backpack style bag which would allow her to carry her little one in a carrier, all baby accoutrement on her back and still have her hands free for her toddler. And when her search finally paid off, she emailed us to share her good fortune. 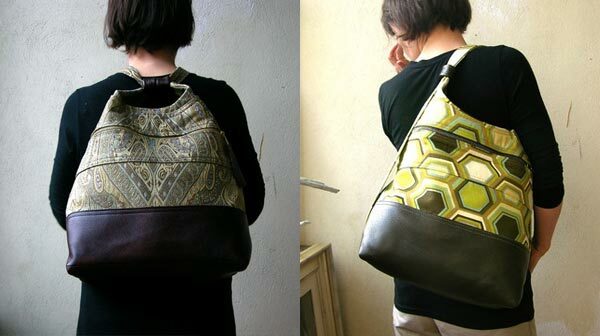 The Mims napsack/shoulder bag goes from backpack to shoulder bag at the tug of the straps. You also get to choose your own fabric from a range of 60 options as well as your leather and zipper preference. 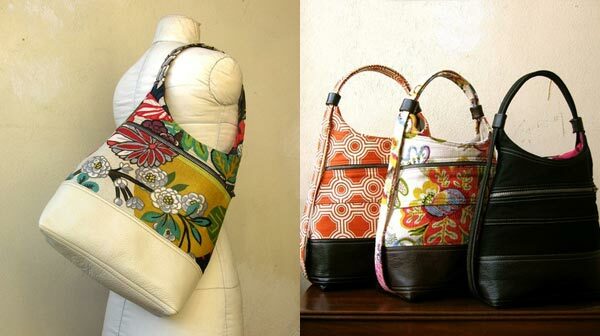 So really, you’re creating your own one-off bag to see you through the mummyhood years with personal style intact! The bag will set you back $US168, with postage to Australia an extra $US20.75.